As a War Veteran, I can say with candor - transitioning from active duty to the civilian sector is like stepping into outer space. A good many military members are trained with the mentality of being strong leaders, take charge individuals, and very methodical in most aspects. For years and for some decades, we live a structured, disciplined lifestyle. And for a good number, they are fortunate to land positions in prestigious civilian sectors, however, there are also a good number who despite years of service, educational degrees and having received what is near the best training in the world, many are jobless, and some are homeless. The transition for those Veterans is often difficult to maneuver. As a patient at the Veterans Affairs Medical Center in Hampton, Virginia, I have heard a great many stories. Each Veteran having their own unique perspective on the process of transitioning to civilian life. And as a REALTOR, I have heard an equal share. For this reason, I have committed to taking an active role in educating our new Veterans, and all Veterans about the available resources and benefits and organizations dedicated to assisting them in getting acclimated to civilian life, finding employment opportunities and general area contacts for a wealth of information on Veterans Resources and Benefits. As a REALTOR, I met a Veteran and his spouse during a consultation to initiate a Short Sale on his home. Short Sales is one of my main specialties and I am proud to have been able to assist families during this difficult time. When I met this Veteran, I learned that he had just returned from the War. I could tell right away that there was a need to follow up with the Veteran's Administration. Unfortunately this Veteran, like many, did not know that he could do this. I as well was in that category of Military Veterans who had not a strong hold on all the benefits we are entitled to. As a War Veteran, you are entitled to so many years of free medical at your local VAMC or Veterans Affairs Medical Center. And for many it is imperative that you check in with your local VAMC when you transition to civilian life. 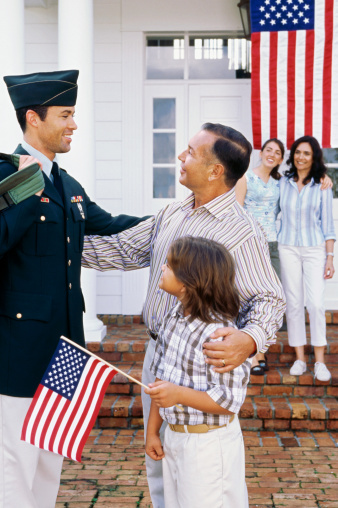 This is one of the best ways to learn about your many Veteran's Resources and Benefits. This particular Veteran did go to the VAMC and he learned that he was entitled to immediate benefits, so much so that he was soon able to recover from financial distress and was able to keep his family home. His wife contacted me months later to share their exciting news. As you can imagine I was both thrilled and relieved that they were able to keep their home - which they had placed a great deal of love and care into - and that he was in the VA system and being cared for as every Veteran should be.